HOME STAGING NO MAGIC BULLET - Decor Designs, Inc.
Has anyone else noticed an uptick recently in the number of real estate listings? I guess it’s no surprise that the number of inquiries I’m getting about home staging are on the rise as well. If you aren’t familiar with home staging, you are missing out on both opportunities and dollars if you’re selling your home. 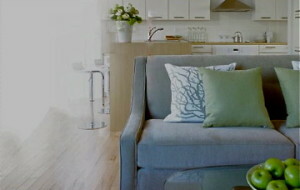 Quite simply, home staging is preparing a private residence for sale. Staging’s goal is to make a home more appealing to potential buyers, thereby selling more swiftly and for more money. And since real estate is the single largest investment most people make in their lifetimes, it is important to maximize your return on investment when selling. To be perfectly clear, staging IS NOT a magic bullet! Staging is just ONE part of a well conceived plan to help sell your property. Marketing, pricing, homeowner involvement and even a certain amount of sheer luck also play crucial roles in the sale of any home. Marketing, including great listing photos, is KEY to putting your home in front of as many potential buyers as possible. Online shopping has created a very savvy consumer base. And with well over 75% of prospective buyers house shopping online as well, you’d better make darn sure the photos and video tours of your home make people wanna take a closer look. Pricing is also key. Again… online shopping empowers buyers, more than ever, to make better choices when buying a home. Comparison shopping by price, location and style is as easy as a few clicks of a mouse. But don’t despair! You still have one very important card up your sleeve. Buying is as much an emotional activity as a practical one. People buy emotionally and justify logically. So if you can make an emotional connection with your buyers, you’ll tip the scales in your favor. That’s where home staging plays the biggest role. Getting buyers to picture themselves living in and doing all the things that turn a house into a home is key! The less you leave to the imagination the better. Stores cleverly arrange and merchandise items to drive sales. Why not use some of those same tactics to sell your home? Keep in mind that staging takes time. Whether you plan to do the work yourself or with a professional stager, give yourself plenty of time to make the necessary changes. Make a plan and stick with it. While staging isn’t the only thing that will sell your home, it is hugely important to getting a faster and more profitable sale. 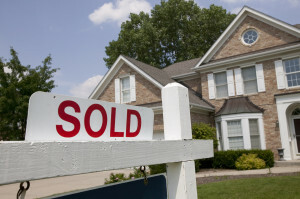 Don’t sell yourself short in the process of selling your home. This entry was posted in Staging and tagged Real Estate Staging on February 19, 2015 by Jeff Rice.